Cherie Ware worked as a legal assistant and paralegal in major law firms for over 25 years prior to founding Ware & Associates (now WE Trust Company) in 1997. In college, Cherie studied psychology and paralegal studies, finishing with a paralegal degree. She was trained in the "old school" manner of legal assistants and took a much larger role in legal representation than do most legal assistants today. In law firms, she worked on business transactions and litigation, but her focus was on domestic relations, estate planning, probate and trust work. Cheri's original goal was to help clients keep their personal and financial affairs organized, to provide personal bookkeeping and assistance in life management and to provide fiduciary services as needed. Along the way, she has acted as a fiduciary in managing trusts, handling probates, and acting in the capacity of attorney-in-fact for finances and assisting others in the handling of estates. Cherie is well known and holds the confidence of many lawyers, CPAs and financial advisors in Washington State. Her diverse clientele includes people with medical issues, executives with demanding schedules, parents with trusts for their children and personal representatives managing probates. 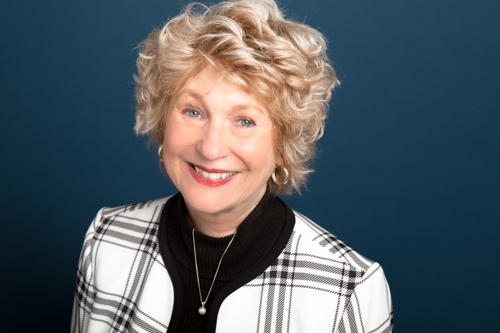 Cherie has found an essential role in helping others manage life changes such as the death or divorce of a spouse, retirement, declining health or helping others to manage the pressures of a successful and active business life. Hailing from Greenwich, Connecticut, Cherie has lived in Washington State for 40+ years, where she raised three children and has six grandchildren. Cherie loves boating in the Canadian Gulf Islands with her husband, Ron Braley, oil painting and the arts, and spending quality time with her family and friends.